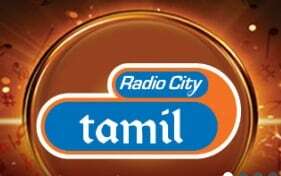 Planet Radio City Tamil Live Online . Listen over 100 Tamil radios Online . Planet radio city tamil is India’s most extensive Music Portal with information, entertainment and interactivity . It started it broadcasts on July 7, 2006 . From Ilayaraja to AR Rahman, here`s bringing you Radio City 91.1 FM`s finest picks of Tamil contemporary songs peppered with humour capsules & the iconic Radio City Love Guru .